The biggest media story of the last few days is the Sunday Times column written by columnist Kevin Myers, which News UK has admitted contained “unacceptable comments both to Jewish people and to women in the workplace”. The Sunday Times has confirmed that Myers won’t write for it again. A good thing too; these kind of things have no place in modern society, and it’s shocking that it appeared at all. When I read the news, Myers’s name sounded familiar, but I couldn’t remember where I’d come across him before. But a quick Google later, I remembered that I’d actually featured him in my biography of Basil Clarke, the father of the UK public relations industry (who led the British propaganda effort in Dublin during the Irish War of Independence). Given Myers’s newfound noteriety, I thought it would be worth sharing the relevant passage. What follows below is a slightly adapted extract from From the Frontline. For many years after the Irish War of Independence, Clarke’s role was largely forgotten. As much as he was mentioned at all, it was in passing, along with the other civil servants at Dublin Castle. Then in the early 1990s, this began to change. The Irish journalist Kevin Myers wrote that Terence Macswiney, whose death by hunger strike in 1920 had helped win sympathy for Sinn Fein’s cause, had been part of a group that had planned to kidnap and possibly murder the Bishop of Cork. The allegation angered Macswiney’s family and they complained to Myers that it was untrue. “Terence Macswiney’s family understandably are upset that this allegation should have been printed. The least I can do is to accept willingly and fully that it was a lie, and express utter regret that I did not recognise it for what it was. factually inaccurate, but there is no real evidence to suggest that any incorrect statement issued by Clarke was done knowingly. Indeed, Clarke’s approach, which he called “propaganda by news”, relied on building the trust of newspapers and he complained to colleagues about being given inaccurate information. He even once ran into trouble for refusing to issue a statement he doubted the veracity of. Clarke was long dead by the time of Myers’s article and so was unable to defend himself, but a letter he wrote to The People newspaper in Wexford in January 1934, some 12 years after leaving Ireland, gives a good idea of what his reaction would have been. “It is a fact that I never gave, or authorised the giving, to the Press of any information that was not substantiated by official reports … That early reports, wired in code to the Castle, and handed on by me to the Press, sometimes proved inaccurate, cannot be laid at the door of my department. Tomorrow will be the 100th anniversary of the start of the Battle of the Somme. As well as being almost unimaginable human tragedy – the 19,000 British deaths on the first day make it one of the darkest days in our history – it is also a low-point in the history of British journalism, with newspapers reporting it as a good day. “On the left up by Gommecourt… our men had got nowhere on the first day. They had been mown down like grass by German machine-gunners who, after our first barrage had lifted, rushed out to meet our men in the open. Many of our best battalions were almost annihilated, and our causalities were terrible. But I remember that our young wounded officers could still find words of admiration for their enemy. “…A German doctor taken prisoner near La Boiselle stayed behind to look after our wounded in a dugout instead of going down to safety. I met him coming back across the battlefield next morning. One of our men was carrying his bag and I had a talk with him. He was a tall, heavy man with a black beard, and he spoke good English. Today I read a blog post by Stuart Bruce about how effective journalists are when they switch to public relations. In response to the recent story about John Simpson’s corporate consultancy website, Stuart makes the point that journalists “are unlikely to be able to do is jump straight in to the most senior public relations roles as no matter how stellar their journalistic credentials might be”. I broadly agree, though I do wonder if, despite the importance of public relations training, we can sometimes underestimate the ability of a journalist with lots of common sense to do our jobs effectively. But following Stuart’s post, I was inspired to look back at what Basil Clarke, probably the first UK journalist to do public relations for a living, had to say about the skills you need to be successful. I’ve just finished reading My Seven Selves, the autobiography of the journalist Hamilton Fyfe, who was an early editor of the Daily Mirror and later a First World War correspondent for the Daily Mail. It’s by no means a classic autobiography (Fyfe’s history of Fleet Street is better) but I thought it would be worth noting down the best bits. It is exactly 100 years ago today that the Daily Mail published an article that, although it has been completely forgotten today, caused a huge global scandal that, according to the Economist, ‘has brought us to the verge of collision with neutral countries’. It centred on the British blockade of Germany, which was aimed at preventing the importing food and other supplies. But while its objective may have been straightforward, its implementation was complicated by the fact that Germany had land borders with neutral countries such as Denmark and the Netherlands. This meant that for the blockade to be truly effective, the British also had to stop goods being imported to neutral countries and then being sent on to Germany. The situation was so difficult that goods from Britain itself were being exported to neutral countries and then sent on to Germany. As well as the practical difficulties, the British feared that restricting the trade of neutral countries might alienate them. Publicly, the Government insisted the blockade was robust and effective, but privately its officials knew it was not working. Concerns began to enter the public domain towards the end of 1915, with opposition MPs questioning its effectiveness in the House of Commons, and the Daily Mirror calling it ‘our slipshod blockade’. Yet this criticism did not seriously damage the Government because there was no strong evidence to support it. And so Lord Northcliffe, the owner of the Daily Mail who had already seriously wounded (some thought fatally) the Liberal government with his coverage of the shells crisis in 1915, sent reporter Basil Clarke to Copenhagen at the end of 1915 to try to find that evidence. Clarke started his investigation into the blockade by trying to get import statistics from the Danish Government, only to be told it had stopped issuing them and had banned their publication. He did, though, manage to find a Danish trade newspaper called the Borsen that listed imports to Copenhagen. all the imports into Copenhagen for the whole year. The results were staggering. In 1913, the whole of Denmark had imported 2,860 tons of rice, but according to Clarke’s figures Copenhagen alone had imported 16,625 tons in 1915. In 1913, Denmark had imported 4,000 tons of lard, but the 1915 total for Copenhagen was 15,000 tons. Pork imports followed a similar pattern, with 950 tons imported to Denmark in 1913 rising to 12,500 tons for Copenhagen in 1915. Clarke immediately realised the figures compiled from this obscure Danish journal would be a major international story. He thought that some of the increase could be explained by reductions in imports from Germany and an increase in exports to Sweden and Russia, but he did not believe these explanations could account for the scale of the increase, which meant he had uncovered apparently incontrovertible evidence that goods were being shipped to Denmark and then being sent on to Germany. While the Danish journalist had been compiling the import data, Clark had spent time at the docks at Copenhagen and seen sacks, boxes and barrels being loaded onto German-bound boats. He heard orders being given in German and even saw some boats flying the German flag. Clarke managed to get on board one of these boats and travelled in it to Malmo in Sweden with a cargo of oils, fats and iron. Once they arrived at Malmo, the cargo was unloaded onto the quay to wait for a German steamer. With his observations supporting the Borsen’s statistics, he was confident that he had strong evidence that the blockade was being routinely flouted and so he returned to England. When Northcliffe heard the results of his investigation, he was so pleased that he invited Clarke to his house for lunch. As Clarke sat down at the table with the other guests, the waitress asked him if he would prefer white or red wine with his meal and he asked for a glass of the white. Northcliffe was so keen for the article to be given Clarke’s full attention that after lunch he personally took him back to the Daily Mail and installed him in the directors’ room so he could write without being disturbed. As he sat down to begin working, Clarke must have had many pages of notes in front of him. But he was able to summarise his findings in a five-word introduction that was as devastating as it was succinct: ‘We are feeding the Germans’. The article was accompanied by a scathing editorial. Headlined ‘Deplorable, Pernicious, and Dangerous’, it lambasted the Government for letting down ‘the young men who form the flower of this nation’ by failing to take ‘proper steps to cut off the supply of food which sustains the Germans of the material for making ammunition with which the Germans are to kill our men’. The publication of Clarke’s article caused an immediate worldwide sensation. Newspapers around the world repeated the Daily Mail’s claim that the Government’s failure to impose an adequate blockade was a betrayal of the men who were fighting and dying at the Front. Yet despite the seriousness of the allegation and the fact that it struck at the heart of the Government’s competence to run the war, there does not initially seem to have been any real attempt to rebut it. The lack of a government response did not mean Clarke and the Daily Mail were about to let the story drop. Over the next few days there were two follow-up articles, one by Clarke claiming British tyres were being used on German cars and the other a leader column accusing the Government of running a ‘sham blockade’. The editorial demanded that the Admiralty be put in charge of it and warned ominously that Britain ‘is going to insist on a real blockade of Germany and it will make short work of its Ministers if they do not convert their sham blockade into a real strangle-hold’. Five days after Clarke’s initial article, he wrote another piece headlined ‘Sham Blockade’ and in the same edition it was reported that Parliament was planning to debate the issue. Then the following day the conservative Morning Post joined the Daily Mail in criticising the blockade. One of its reporters had uncovered separate statistics suggesting Germany had imported 4 million pairs of boots from the United States in 1915, which it used as evidence that ‘Germany has been permitted by the British Government to import through neutral countries essential supplies to an amount exceeding the amount imported by her in time of peace’. The Daily Mail welcomed the Morning Post article with an editorial that demanded that control of the blockade be taken from the Foreign Office and given to the Admiralty, which consisted of seamen who it believed were the only ones in government with ‘the requisite knowledge to conduct it’. Then it maintained the pressure with another article by Clarke about how workers at Dunlop‘s Birmingham plant had demanded assurances before agreeing to work on a consignment of tyres for Copenhagen, telling the company’s management they were ‘not going to make tyres for the Germans’. The protest was only settled, Clarke reported, when managers were able to prove the tyres would not be sent on to Germany. In the same edition, the Westminster Gazette reported that the Government had recently sent ‘a business man of eminence’ to Scandinavia, and he had concluded the blockade was working well. ‘Such a man would have very much better means of examining the situation from within than any correspondent sent out to make a case against the Government,’ it suggested. Clarke responded to this claim a week later, writing that an attempt to ‘discredit my figures has been made by a vague allusion to a visit of enquiry by “an eminent man of business”’ that he understood to be a reference to the financier and politician Sir Alexander Henderson. ‘Sir Alexander, if he reported “all well” with our blockade, was wrong,’ wrote Clarke. The day after its claim about the ‘business man of eminence’, the Westminster Gazette urged its readers not to ‘be led away by mere clamour’, and then the following day rubbished Clarke’s articles as ‘only a phase of the conspiracy to bring the Government down’ that was being orchestrated by Northcliffe. By this stage, Clarke was expending as much energy responding to criticism of his articles as he was to making the case against the Government. On 20 January, for example, he described the suggestion that the extra imports to Copenhagen were being sent on to Russia rather than Germany as ranking ‘among the very poorest of all the bad arguments that have been put forward to defend our sham blockade,’ before going on to claim that Russia had ‘almost negligible’ trade with Denmark. It was not just in London that Clarke sparked debate, with the Livingstone Mail in Northern Rhodesia calling the blockade’s effectiveness ‘one of the questions of the hour’. So when a scheduled statement to the House of Commons about the blockade was delayed for a week, it must have added to the impression that the Government was in crisis. On 21 January, the Westminster Gazette admitted that MPs ‘realise that these articles have shaken public confidence to some extent’ and on the same day, the New York Times reported that public discussion of the blockade ‘continues bitterly’. With almost every day that passed, the Daily Mail published a new article. On 22 January, Clarke reported that a Viennese newspaper had recently published an advert for 40 tons of prime beef from the Netherlands, and a weekly supply of a wagon full of cement and linseed oil from Denmark. On 24 January, at the start of the week when the blockade was scheduled to be discussed in the House of Commons, one Danish newspaper reported that ‘every capital in Europe is full of the sensational rumours used by Mr Clarke’. On the Tuesday, the day before the Parliamentary debate, the Daily Mail published yet another article by Clarke, this time addressing claims that a tighter blockade would threaten relations with neutral countries. As Clarke wrote these words, he would have expected that the day after they were published the Government would finally give its official reply. Actually, he did not even have to wait that long. On the same day, 25 January, the Government unexpectedly issued a lengthy memorandum responding both to Clarke’s articles and those in the Morning Post. The memorandum was forensic in its detail. And while it lacked the hyperbole of Clarke’s articles, it rebutted the allegations in a way that was quietly devastating and showed that the Daily Mail’s confidence that it was ‘beyond possibility’ for Clarke’s story to be repudiated had been badly misplaced. The memorandum showed that the Government had spent the previous two weeks carefully preparing its defence. It had tracked down copies of the Borsen and discovered its figures included consignments bound for other countries. The memorandum gave the example of a cargo of rice and pineapples that were included in the Borsen figures but were actually being shipped to Norway. It also revealed that some goods were only allowed to continue to Denmark if the British were guaranteed that they would either be returned to Britain or stored in Denmark until the end of the war. This was because some goods covered by the blockade were stored near the bottom of the ship, which meant removing them would involve unloading the whole ship and lead to delays and congestion in ports. Yet the Borsen had listed the contents of the whole cargo, even when much of it was to be returned to Britain or stored in Denmark. The memorandum argued that this had significantly inflated the Daily Mail’s figures for 1915. Having pointed out two general problems with Clarke’s conclusions, it then systematically went through each type of goods mentioned in the original Daily Mail article. With rice, for example, it accused Clarke of failing to compare like with like, because the 1913 total had only included rice meal or ground rice, while the 1915 total included whole rice, rice groats and rice meal. It also suggested that any increase to rice imports could be explained by the fact that the price of rice had increased by much less than the price of pearl barley or oatmeal. While these arguments were in themselves enough to raise serious doubts about Clarke’s figures, the memorandum’s final point was perhaps most effective in undermining the credibility of both the story and also of Clarke himself. Clarke had got his maths wrong. In his original article, he had reported that the increase in lard imports from 4,000 tons to 15,000 tons had represented a 375 per cent rise. In fact, this is a 275 per cent increase. Similarly, he claimed the increase in pork imports from 950 tons to 12,500 tons was a 1,300 per cent increase. It should have been 1,216 per cent. There were similar mistakes in other calculations. Clarke also accepted that the Government’s point about goods being stored in Denmark or being sent back to the UK might be ‘partly true’, but he questioned whether this really had a significant effect on the totals. He also expressed his frustration at the fact that the Government response had dealt only with the Borsen statistics, whereas he saw these figures as only part of a wider investigation. Clarke’s response was accompanied by an editorial that weakly tried to excuse the errors in the percentages – ‘No doubt these statistics contained inaccuracies. Most statistics do’ – and then wrongly attributed the errors to a Danish Government statistician. Then, like Clarke’s own article, it attempted to put the Government back on the defensive by highlighting the fact that it had not made ‘the slightest attempt to dispute any of Mr Clarke’s own statements concerning what he saw and heard with his own eyes and ears about the vast volume of supplies pouring through the Danish ports into Germany’. The Times’s editorial adopted a more measured tone, but it also thought the Government still had a case to answer. It acknowledged that the memorandum ‘points out a serious error … but it leaves the broad fact unchanged and unquestioned that, in spite of all precautions, goods in considerable amounts continue to reach the enemy through these neutral channels’. It was, though, in a minority, as most of the next day’s press considered the memorandum to have been a masterstroke. ‘While the Daily Mail and the Morning Post stick to their ground and declare that the Government’s statement deals mostly with side issues, other newspapers assert that the Government’s reply is absolutely convincing and unanswerable,’ the New York Times reported,50 while the Sydney Morning Herald described the memorandum as ‘a very effective answer to figures and criticisms’ and the Livingstone Mail in Northern Rhodesia thought ‘the official reply reduces very materially the value of the attack made upon the Government’. If the decision to release the memorandum the day before the Parliamentary debate was intended to take the sting out of the story, then it succeeded. The Times may have still believed that ‘today’s debate is anxiously awaited throughout the civilized world’, but much of that day’s press coverage gave the impression the Government had won the argument even before Edward Grey stood up in Parliament that evening to defend the blockade. Grey went through the figures released in the memorandum and argued they showed the Government was already doing all that could reasonably be expected, given its obligation to respect the rights of neutrals. He also called for an end to newspaper attacks on the blockade because of the dispiriting effect they were having on the Navy. His statement was well-received by his fellow MPs, with the New York Times reporting that it left ‘the position exactly as before the debate, except that Parliament seemed more converted to the Government policy’. He went on to challenge the Government to prove its claim that large quantities of goods had been sent back to Britain or were being stored in Denmark until the end of the war, and he argued that the effort the Government had put into discrediting his articles would have been better used combating German propaganda in neutral countries than in ‘seeking minor journalistic victories at home’. Given the scandal caused by his allegations, the idea that the Government should not have bothered to investigate them was so obviously weak that it suggests Clarke was beginning to feel the effect of day after day of biting criticism. He was on firmer ground with his claim that by focusing exclusively on the figures from the Borsen, the Government had ignored everything else in his articles. It was, perhaps, an early example of the now established public relations tactic of identifying a single flaw in an opponent’s argument and focusing on it disproportionately in the hope of undermining their overall credibility. Clarke finished his article with an accusation: ‘The British Government … know of it [the leaks in the blockade]; or are deliberately shutting their eyes and discrediting the evidence of their own agents. If they would say, “Our blockade is not perfect; we are sorry; it cannot be made more perfect without incurring disadvantages greater than the advantages we should reap through perfecting it” – if they would say this one would at least sympathise with their point of view even if one did not share it. As bombastic as his article was, there was something in its tone that hinted that, having staked his reputation on his fight with the Government, he realised the initiative was slipping away. Certainly, most of the next day’s newspapers were fulsome in their praise of Grey’s statement. The New York Times reported that ‘Sir Edward Grey’s effective speech appeared to finish the work thus begun’ by the memorandum the previous day, while the Manchester Guardian judged that ‘the statistical case against the Government’s blockade policy has been almost completely demolished’ and the Daily Mirror, which had itself previously questioned the effectiveness of the blockade, reported that Grey’s statement had fully addressed ‘some grotesque figures which had been published and which were quite untrue, but the conclusions founded upon which had done great harm’. The combination of the memorandum and Grey’s speech seemed to have won the Government a decisive victory but, as battered as their reputations may have been, neither Clarke nor the Daily Mail were about to give up. Clarke followed his response to Grey’s speech with a defiant article the following day headlined ‘Leaks in the blockade’ and the next day he wrote yet another piece, this time with the headline ‘Leaky blockade’. Yet despite Clarke’s determination not to be beaten and the Daily Mail’s willingness to let him continue criticising the Government, his articles were beginning to give the impression that the story was running out of steam. In another article on 31 January, Clarke turned his attention to the newspapers that had been so critical of him, describing them as the ‘Hide-The-Truth press’ for having defended the Government. German traders, he wrote, ‘must be delighted to find the impression spreads … that the Foreign Office has proved that no food or supplies, or only negligible quantities, are going to Germany’. 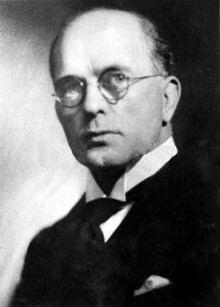 The next day, another article by Clarke rebutted the claim that the extra tea arriving in Denmark was being sent on to Russia rather than Germany, and then three days later he wrote about a Danish trader who had advertised 200,000 pairs of military horseshoes in a German newspaper. The following day he claimed iron ore was getting through the blockade. And then there was silence. The article about iron ore was the last one Clarke wrote about the blockade. It is unclear why his articles stopped so suddenly. But just over a week later, the Daily Mail published an article by the reporter Robert Segar about problems with the blockade in the Netherlands. Under the headline ‘The blockade failure; how we are still feeding the Germans’, Segar continued in the same vein as Clarke as he claimed the Netherlands was ‘being used by the Germans as a vast storehouse’. The next day, on 15 February, the Daily Mail published another article by Segar that described how the blockade was ‘leaking at every seam’ and over the course of nine days, between 14 February and 22 February, the Daily Mail published six articles criticising it. Neither Clarke nor his investigation were mentioned once. Then on 23 February, the Government announced the establishment of a Ministry of Blockade. The Daily Mail may have been calling for responsibility for the blockade to be given to the Admiralty, but it could justifiably count the announcement of the new ministry as a victory. Over the previous month it had printed thousands of words criticising the blockade, and now the Government was changing the way it was managed. That is not to say newspaper coverage was the only reason the Ministry of Blockade was established. But it does seem likely that newspaper coverage and the resulting public anger was one of the main reasons for the change. As someone unfamiliar with Ernest Shackleton’s voyage of 1914, I found this to be a gripping account of a truly extraordinary achievement. I was left with huge admiration of what they achieved and, as the title suggests, the huge amount they were able to endure without giving up. Really inspirational. Philip Gibbs’s autobiography is now out of print, but deserves to be remembered as a journalistic classic. Not only does it give a glimpse of the Fleet Street of the first half of the 20th Century, but it does so through the lens of a reporter who covered both world wars, interviewed Himmler and was close to Ramsay McDonald. And a host of other things besides. Anyone who has read Race of Lifetime, Heilemann and Halperin’s account of the 2008 US election, will know what to expect of their book about Obama’s victory over Romney. It has weaknesses, particularly the self-conscious writing style and overuse of metaphors. But it is also flows along at a good pace and uses off-the-record interviews to build up a remarkably detailed insight into what was really going on behind the scenes. The result is an account of the election that you can almost smell. I read it immediately after reading The Gamble, which looks at the election through data and whose overall thesis was that most of the events of the campaign didn’t make much difference to the overall result. While The Gamble was a bit dull, it was interesting to get read two books side-by-side that had a very different perspective on the same election. This biography of Lincoln was elevated to the position of must-read leadership book after President Obama reportedly used it to inform the formation of his own Cabinet. But it was only once I had started reading it that I realised how little I knew about perhaps the most legendary of all American presidents. It was my favourite book I read in 2014: a fascinating story, well told. But it’s also much, much more than this. It really gets under the skin of Lincoln to give a sense of why he was such an extraordinary man and what real leadership looked like in an extremely difficult situation. To be honest, I found this book a bit hard-going at times and I felt like it could have done with a bit of editing. But it had to make the list for the sheer breadth of the subject matter, from military to politics to business, and sense of being guided through it by someone who is as wise as he is knowledgeable. I certainly learned a lot with it and its overall thesis is a sensible one: that the master strategist is mostly a myth and that the overriding lesson from the history of strategy is that people consistently overestimate their ability to shape events. It was exactly a century ago, on 28 November 1914, that war correspondent Basil Clarke had published what he considered to be the best scoop of his career. While living as a fugitive in Dunkirk, he was the first journalist to reach the centre of Ypres following the German destruction of it. But when his eyewitness account of what he saw appeared in his newspaper, the Daily Mail, it had to be presented as a third person piece he had heard from someone else. This was because Clarke feared that admitting to have been in Ypres himself may have given the authorities, who wanted to catch him and send him back to Britain, too much of a clue as to his whereabouts. “A fair-haired Flemish girl stood bare-headed at the doorway in Ypres. She gazed wistfully upon the smoking Cathedral before her and the ancient Cloth Halls with their beautiful old walls all jagged and broken by German shell. More shells, whining pitifully on their scandalous errand, flew by overhead, only to crash at length against ancient masonry and bring down more stones and timber and dust upon the heaps of ruins that now constitute the old-world city of Ypres. The girl took no notice. Not a flinch showed upon her homely face at the falling whimper of the shells. It might have been carved of marble, like the faces and hands and bodies of the cathedral saints lying shattered in the road before her. But it lit up at the mere pleasure of seeing someone approaching. Visitors were rare just then in Ypres. “Not afraid, Ma’mselle Bulckaert?” said my Belgian companion, who knew her. Another shell. We were silent while it passed. Shakespeare wrote: “That sound again. It hath a dying fall.” A shell’s note, too, has a “dying fall”. Mademoiselle imitated the whine, clapped her hands for the crash at the end of its fall, and gave a little, mocking laugh. “Phew!” she said, and she shook a fist towards the German lines. “Bang away. What more have you got to break?” And then she spread her hands towards the wreckage in the square before us. Mlle Bulckaert was the daughter of the café keeper in the Platz Alf van der Peereboom, of Ypres. Residents were few, and the only people to be seen were a few French soldiers, a woman who stood at the door of an imitation marble bar, a blind old man with red eyes who faltered about in the bar, trying to be useful, and two tiny children who sat on the floor taking their soup with wooden spoons. Ypres was given up for the time being to the shells. And what a sight, then, from the Grand Platz! The Cathedral, the famous Cloth Halls, the Museum of Antiquities, the theatre – all ruined; all battered into holes and heaps. Imagine looking upon, say, Canterbury Cathedral or Westminster Abbey piled up in heaps – heaps of stone and mortar and wood, and saints and angels and stained glass and tombs and curtains and pictures and chairs and candles and Prayer Books – the old and the new, the venerable stones of the year 1400 and the forgotten umbrellas of 1914 – all in one headlong jumble! That awful sight struck me cold. I wondered how Mlle Bulckaert and my guide could contrive to chatter. The city, so silent and empty and waste, might have been unpeopled by a plague, shattered by a mad god. You looked, and still looking, could hardly believe. I left my companion and walked across the Platz Alf van der Peereboom to the Cathedral, entering through a shell hole in the wall. Jagged patches of sky lay visible through the vaulted roof. The whine of the shells came through the gaps and into the silent church – an eerie, fascinating sound to echo through the arches. Never before could such devil’s music have sounded in that holy place. I struggled along the aisle over stones and heaps to the altar steps. Fallen crosses and candlesticks, rent curtains, shattered tombstones and great holes! A mitred bishop, Jansenius, carved in red-veined marble, lay still and intact on his tomb-top. Round about was chaos. Some half-burnt flowers lay on his chest. Part of a Rubens painting, detached from the wall, hung ragged and charred over his head. The far end of the church was filled with blazing wood. A shell had caught the wooden roof not long before and fetched it down. It was burning now and cutting off the exit by the western door. Outside, in the Platz, on the other sides of the Cathedral, lay such of its ruins as had not fallen inwards through the roof. Of the beautiful belfry about one-half remained standing – jagged at the top like a broken tooth. Notwithstanding its shortened height and battered state, someone had planted a Belgian tri-colour on its highest point, and there it still fluttered in the breeze, though a shell had cut off part of the last colour of the three. The remainder of the tower and of the broken walls of the Cathedral lay in heaps on the ground below, just as shell after shell had knocked off segments piecemeal. In one of those heaps was a big brass drum with spikes on it and cogwheels. It was part of the mechanism of the famous carillon of Ypres – a carillon whose tuneful bells had played hourly to the townsfolk for hundreds of years, even back to the day when wicked Philip-le-Bel swore in his wrath because they kept him awake at nights. In other heaps were sections of beautiful stained-glass windows that had come crashing to earth under shell fire – mammoth spiders’ webs of lead filled with glass of wondrous hues. I picked up a piece and held it up to the sun. It depicted the white taper fingers and the wrist of a woman – perhaps an angel or a saint or the Virgin – on a background of gorgeous blue. Through a gash in the Cathedral wall overhead protruded into the street the torn end of a painting. It flapped to and fro in the wind like some poster torn from a hoarding by a gale. It was another of the splendid wall pictures, by Rubens, with which Ypres Cathedral was filled. The Market Halls of Ypres, near by, were, like the Cathedral, ruined. I walked along their colonnades, now roofless, and in many places smashed beyond recognition. In one place a great book lay smouldering on the stones. It was part of the marriage register of Ypres, and the dates alongside entries on a page I opened were 1714. Later I walked through the streets to see houses without roofs, houses without fronts, houses with bedsteads and wardrobes ready to topple out through holes in the walls and into the street, houses, too, that were just one tall heap of stones and plaster. In the Platz Alf van der Peereboom was a huge hole in the street big enough to accommodate a London motor omnibus. The hole was made by one German shell. Thousands of such shells must have been used to reduce the historic buildings of Ypres to the state they were in. But day followed day, and the Germans were as far from taking Ypres as ever. For this simple reason: the Allies’ troops did not sit still under bombardment. They went out on all sides of the town and kept a ring of trenches and fire and steel, at a distance varying between four to eight miles, between the Germans and Ypres. German shell and shrapnel could reach it, but not German men. Attacks from north, east and south, separately and collectively, all failed. Then the Germans smashed up the historic treasures of Ypres. “Perhaps they got angry,” as Mlle Bulckaert put it to me. “Anyway” (to continue her narrative) “the shell fire changed on Saturday last (November 21). On that day shot after shot went into the Cloth Hall and brought it down in heaps. Then came night and a rest from shell fire. On Sunday they changed their aim to the Cathedral. Sunday, too, of all days! Shot after shot into it! And I was christened there, monsieur. I should perhaps have been married there – who knows? “The abbé was about all the time. He and an English officer carried buckets of water to put out the flames after every shell that set the woodwork alight. Oh, he was heartbroken, but he and the English officer worked and worked and thought nothing of the shells. “All that night the firing went on, and sparks and fire and burning wood were thrown onto our house from houses near us that were hit. Some of these houses caught fire, and we should have been burned down, but father stayed on the roof, getting here and there with a fire extinguisher, putting out every bit of fire he could see. He sat on the tiles with an extinguisher, monsieur, waiting for the shells to come. “Next day (Monday) the Germans finished off the Museum of Antiquities, the theatre, and ever so many more houses and buildings around the Platz. So Mlle Bulckaert had been counting the shells as she gazed out wistfully from her door over the ruins of Ypres! M Bulckaert would not leave his home, and as he would not go his daughter would not. She would stay with her father, she said simply. “How can I leave him with no one to see to him?” I looked again at this brave Flemish girl, wished them luck and left Ypres. Public relations: a fifth leg on a dog? While browsing through The Times’s archive today, I came across an interesting article from 1947 that sets out the newspaper’s view of public relations. Thirty years on from when Basil Clarke started public relations in Britain by joining the Civil Service, The Times makes it clear that the industry had already grown massively. It suggested the Treasury was now spending £878,468 a year on the wages of 1,100 public relations staff (including clerical and typing staff), a massive increase on the £21,000 a year the Government was spending on public relations in 1921. “This means, in even plainer language,” The Times told its readers, “that men and women must know their job, be courteous in their business dealings, be ready to give the information to which citizens are entitled, and not hope to be saved from these obligations by a deus ex machina called a PRO. “It is admirable doctrine and should be digested by those local authorities, for instance, whose most active interest in public relations expresses itself negatively, in attempts to prevent local newspapers from doing their duty, which is to give the facts about local government. It is an interesting simile. I’ve heard public relations being referred to as the tail of the dog before, but never as an additional leg! Today is exactly 100 years since, on October 15, 1914, the journalist Basil Clarke got a phone call telling him to report urgently to the Daily Mail’s office. It was a call that changed his life forever and would mean the British people got more comprehensive news about the early part of First World War than they would have otherwise. 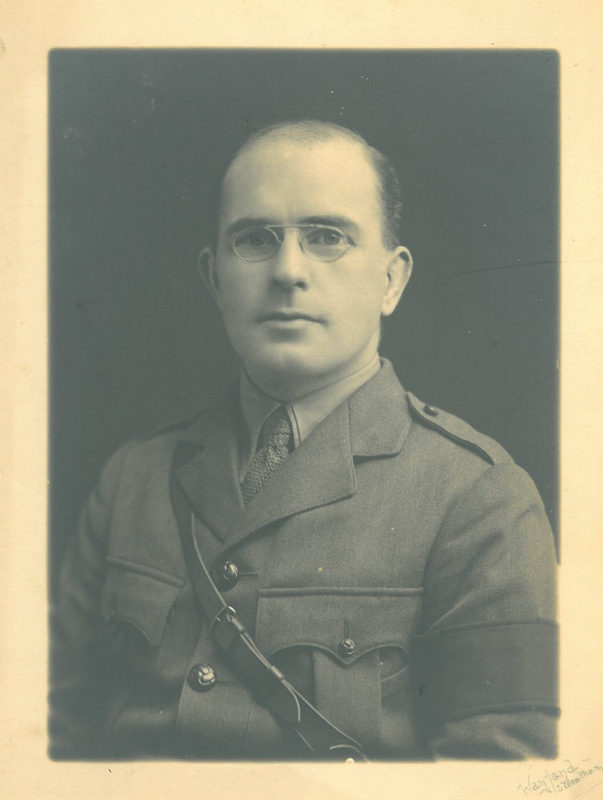 Clarke had spent the first couple of months at the Government’s Press Bureau in Charing Cross, picking up officially issued news and trying to get his colleagues’ copy past the censors. But when Clarke arrived back at the office, his news editor told him the Germans were about to take Ostend in Belgium and he wanted him to try to reach the city before it fell into enemy hands. War reporting has always been one of the most challenging types of journalism, but working as a war correspondent in the first few months of the First World War was especially difficult because journalists were not allowed at the Front. The ban made it difficult for journalists to report from the Front, but it is to the credit of the independent-minded nature of the press that a number of reporters used their guile to get to the war zone and send news back to London. They would often be helped – or at least a blind eye would be turned – by members of the military who thought the restrictions were unnecessarily draconian, but the ban still meant that during the early days of the war the ability of war correspondents to evade capture was at least as important as the traditional journalistic skills of finding news and writing articles. As Clarke received his instructions to go to Ostend, he still had on the bowler hat and Burberry coat he had worn to the Press Bureau that day. He had no idea how long he would be away, but there was no time to say goodbye to his family and so collected the small suitcase he kept packed in the office and headed straight to Dover. He would later wonder if he was the only journalist ever to have gone to war in a bowler hat. At Dover, he was told that no boats were going to Belgium and so he took a cab to Folkestone to see if he could get one from there. As he waited at Folkestone, boats began to arrive that were crammed full of Belgian refugees and he spoke to some of them and was told that they had come from Ostend and that the Germans had already taken the city. He was too late. The German occupation of Ostend meant that completing his news editor’s instructions was now impossible, so the obvious course of action was to return to the office. But instead, Clarke made a life-changing decision that was extraordinary both in its impetuosity and its recklessness. Despite having a young family, he was so eager to see the war for himself that he decided to risk both his life and the ire of his employers by taking the first boat heading to Europe and, using his bag of gold sovereigns to pay his way, see what he could of the war. He gambled that he might be able to retrospectively justify his decision to his newsdesk if he was successful in getting news back from the Front. And so began the three months Clarke spent as what he described as a ‘journalistic outlaw’, when he lived outside the law and survived day by day by using his cunning to evade arrest in what was a ‘labour greater and more complex than anything I have ever undertaken in journalistic work’. Clarke took a steamer to Calais, where he explained to a British Consul that he wanted to head towards the war zone but was told not to leave town unless it was to return to England. Clarke also tried to get French officials to help him but they all refused to give him a ‘laisser-passer’ to anywhere in the direction of the fighting. Clarke was determined to circumvent the intransigence of officialdom and he headed to the train station despite not having the necessary paperwork. But when he arrived he saw that its doors were guarded by soldiers with bayonets and so he instead decided to try to leave town by road. He had identified Dunkirk as a potential base because of its relative convenience for getting copy back to London and, given that it was just over 20 miles from Calais, he thought he might be able to walk there. On the outskirts of Calais he came to a sentry box and the soldier inside refused to let him pass. Feeling tired and dejected, he stopped at a roadside café filled with soldiers. There, he struck up a conversation with a soldier who had been a printer on a French newspaper before the war and who remembered reading Clarke’s work in the Paris edition of the Daily Mail. He said that he would shortly be leaving on a train that would stop at Dunkirk and agreed to help Clarke board the train. So Clarke headed back to the station, where he found that the door to the station restaurant was unguarded and he was able to walk through the restaurant and straight onto the platform, where the soldier was waiting for him. Belgium seemed to be pouring into France,’ he wrote. When they stopped just outside Dunkirk’s station, Clarke decided to leave the train in the hope of avoiding the officials who would be guarding the station. He grabbed his suitcase, said goodbye to the soldiers and jumped down onto the track. But there was no obvious way to get off the track and as he looked for an exit he noticed he was being watched by a soldier with a bayonet. Anxious not to attract any more attention, he started walking towards the station platform and then through to the main hall. Both exits were guarded by a soldier, a police officer and a ticket inspector. Fearing he was about to be arrested or sent back to Britain, he noticed the refreshment buffet. To delay facing the officials, and reasoning that if he had to spend the night in jail then it would be better not to do so on an empty stomach, he went inside and got a meal. And then his luck changed. As he ate, a train full of Belgian refugees arrived and the platform was suddenly full of hundreds of people who all seemed to want to get to Calais. Someone else said they had heard there were no vacant rooms left in Dunkirk that night and news of the accommodation shortage led to a rush towards the station door. Clarke realised this was his chance and so he joined the crowd that was now surging forward. The pushing and shoving became worse as Clarke got near the exit and he was pushed onto a woman holding two small children. He lifted one of the children, a girl aged three or four, onto his shoulders to protect her from the crush, and just then the half-open station door suddenly burst open under the pressure of the crowd and Clarke was carried past the gesticulating officials and out onto the street. When he gathered himself, he realised he still had the girl but could not see her mother or the other child. He decided to wait for them and sat on his suitcase among the refugees outside the station and did his best to comfort the crying girl. Half an hour later, the girl’s mother finally appeared. She told Clarke she had been left inside the station when the staff shut the door and feared he had run off with the girl. Clarke could see she had been crying and she had also lost her luggage in the crush. He assured her she would find the luggage later but did not offer to help look for it because he thought going back inside the station might lead to his arrest. Instead, he bought some warm milk for the children and a coffee for the woman, which they drank sitting on the cobbled stones of the square outside the station. After finishing their drinks, they found a nearby furniture store whose owners let the woman and the children sleep on the floor for the night. Clarke said goodbye and returned to the station square, wondering how he himself might be able to find a bed. But as he considered his options he was noticed by a police officer who asked him where he was from. A wrong answer could have meant an abrupt end to his ambition of becoming a war reporter. So instead of answering the police officer’s question, he asked him when the next train for Calais was leaving, hoping to change the subject. The tactic worked. The police officer gesticulated as he explained it would be impossible to get a train to Calais that evening and Clarke managed to further distract him from his original question by insisting that he was surely wrong and that there must be another train to Calais that night. ‘You can never do more towards making the ordinary man talk and forget his original line of question than by contradicting him, and letting him convince you he is right,’ Clarke later wrote. The police officer ended a long explanation by concluding that Clarke’s only option was to spend the night in in Dunkirk. Clarke thanked him for his advice and said goodbye. He eventually got talking to a barber’s assistant who arranged for him to stay in a room in a nearby café. Clarke was pleased with the find. He thought the small number of guests there made it less conspicuous than a large hotel and he ended up staying there for some weeks before eventually deciding to leave after a police officer showed too much interest in him. After spending his first night in Dunkirk, Clarke woke early the next morning and, intent on getting to the Front as soon as possible, walked to the gates of the city. There, he found a guard-house that was manned by soldiers and he confidently walked up to it and asked the soldiers the way to the nearby city of Furnes. ‘Your laisser-passer, monsieur?’ said one of the soldiers. Knowing he did not have the correct documentation, Clarke ignored the request and instead repeated his question. But the soldier again demanded that Clarke produce his papers, more aggressively this time. Clarke took out the documentation giving him permission to go as far as Calais and showed it to the soldier. ‘What is this?’ the soldier asked. At this point, Clarke decided to tell the truth and explained that he was a journalist who wanted to get to the Front but had not been able to get a permit. The soldier told him that he would not be allowed outside the city gates, but as they continued talking the tone of the conversation became friendlier. The soldier mentioned he had once lived in London and remembered reading the Daily Mail. Clarke said he would love to see the cemetery and the soldier winked at him and let him through. It marked the start of the three months that Clarke spent living as a fugitive. By the time he was finally forced to return home in January 1915, he was one of only two journalists left in the war zone. When it comes to most firsts in public relations – the first practitioner; the first agency – it is usually the United States that gets the glory. But, given that September is Ethics Month for public relations, I thought it would be worth telling the story of how the UK can lay a claim to the industry’s first ethical code. It was not that the American public relations pioneers had never considered ethics. Ivy Lee included an ethical element in his ‘Declaration of Principles for Public Relations’ in 1906. Also, Edward Bernays’s 1928 book Propaganda included a code of ethics. But Lee only included ethics as a small part of a wider document, while Bernays’s code of ethics was as much a description of how public relations practitioners already behaved as it was an attempt to codify standards of behaviour that could be used to hold people to account. So when Basil Clarke, the father of the British public relations industry, developed a code of ethics in the 1920s that set tough and credible standards that those working in public relations were expected to conform to, it was the first of its kind anywhere in the world. The Code called for an end to anonymity in public relations. All public relations copy was to be marked with the sender’s name and clearly labelled as publicity copy, while the press agent would be obliged to disclose the name of his client if asked to do so by an editor. As well as highlighting the importance of transparency, Clarke’s code set out that press agents should not accept fees from newspapers or ‘suborn’ newspaper staff to publish stories, while they should also be responsible for satisfying themselves of their clients’ bona fides. It also judged canvassing for business to be inappropriate because it could lead to press agents over-promising about the levels of coverage they were likely to achieve. And work should be paid for by professional fee, rather than by the number of articles secured. Its other provisions included that stunts should not be used if they were intended to deceive either an editor or the public; that press releases should include footnotes giving the source for any claims; and that, except in ‘special circumstances’, editorial publicity was to be offered alongside advertising rather than instead of it. The code also stipulated that press agents should not offer to place advertising with a newspaper on condition that it agreed to give editorial coverage, as this was ‘degrading alike to the maker of the threats and to the paper’. Clarke hoped his code would force deceitful press agents to either change their ways or go out of business, and that this would enhance the professional reputations of those who remained. He also called for an industry-wide approach where a new ‘Vigilance Committee’ would monitor adherence to these rules and punish those who broke them, which he thought ‘would rid editorial publicity work of many abuses and leave unimpaired the useful functions’. But as forward-thinking as Clarke may have been in identifying the need for this kind of code, it did not make any immediate discernible difference. A decade later, Clarke himself was lamenting that ‘there is still no knowing who is, or may be, a press agent, or what he may do … [and] nor is there any limit, except those imposed by his natural decency, to which a press agent may descend to get his publicity or propaganda across’. And when the journalist Richard West looked back at Clarke’s code in 1963 as part of a book about the public relations industry, he concluded that while it was ‘admirable as far as it goes’, the vast majority of 1960s public relations firms were consistently breaking at least some of Clarke’s rules. One rule West claimed was being routinely ignored was the one about ‘suborning’ journalists, which he thought included asking journalists to see a copy of their article before publication and so making ‘the journalist reluctant to be critical in his writing’. West also gave the example of public relations practitioners posing as ordinary members of the public when writing to the letters page of newspapers as evidence of a failure to be transparent. But to be fair, Clarke did this himself in the 1920s, writing to The Times to enthuse about the telephone industry without mentioning that it was one of his clients. One element of Clarke’s code still being debated today is the issue of payment by results. As for Clarke, he apparently only ever broke his rule on payment by results once, when a client insisted he would only pay for the newspaper coverage his agency actually secured. Clarke reluctantly agreed a rate and at the end of the campaign the client was shocked to find that the bill was five times higher than the fee Clarke had originally proposed. Content to have taught the client a lesson, he let him off the difference in exchange for the price of a lunch.